What is a Divine Healing? What is involved in the process of a Divine Healing? What is the difference between a Private Divine Healing/Training session and a Remote Divine Healing session? Will a Divine Healing be painful? How long is a Divine Healing session? Can a Divine Healing be performed long distance? Is a Divine Healing safe? Who are Jesus, Archangel Raphael, and Archangel Michael? What if I’m not Christian or don’t believe in Jesus Christ? What can I expect after a Divine Healing session? Is there anything special I need to do for myself after receiving a Divine Healing? Can I see other energy healers in between or shortly after my sessions with you? How do I know if I have an entity or possession? Do you clear/cleanse haunted buildings, too? Can you channel answers to my questions? A Divine Healing is a way of accessing Divine Energy by calling on guides, such as angels, archangels, Jesus Christ, and the Arcturians to cleanse and remove energies and entities that may be the source of physical, emotional, mental, or spiritual imbalances affecting you and the people around you. During a Divine Healing, I ask Jesus Christ, Archangel Michael, Archangel Raphael, the Arcturians, and other forces of Love and Light to remove any attachments, dark-force energies, discarnate beings, and alien Reptilians that may have found their way into your body or energy field. Once these are safely and permanently released into the Light, you will be filled with Love and Light to assist you in your healing process. Divine Healings work on four levels: physical, mental, emotional, and spiritual, and they transcend time and space. You receive healing not only for what you carry from this incarnation, but from what you carry from other lifetimes as well. Sometimes you can’t safely release all of this at once, which is why Divine Healings are most effective over the course of three sessions within six weeks. I will begin working on your behalf even before your scheduled appointment by calling in energetic protection for you. Entities know when you have made the choice to be healed, and they often place obstacles in your way to prevent you from following through. They are feeding on your power and energy and don’t want to be evicted. Jesus will ask for temporary permission to enter your physical form to cleanse you of negativity, while the angels and Archangel Raphael and Archangel Michael work from the outside, communicating with the entities and taking them to receive Divine Healings of their own, whether they are willing or not to go. When Reptilians are present, the Arcturians will shine a light on them, remove them, and take them to the Light, too, so they won’t be able to return to harm anyone again. Jesus will then fill the void left by the vacated entities with Love and Light so there won’t be room for any other negativity to enter. For more information about Remote Divine Healing sessions, click here. However, Private Divine Healing/Training sessions require a commitment of a minimum of three sessions, along with several other requirements. Private Divine Healing/Training sessions also include the creation of four powerful soundtracks that can be used over and over again to conduct your own Divine Healings. Not everyone is a suitable candidate for a Private Divine Healing Session, and clients are accepted at my discretion. A Remote Divine Healing session does not include the prerequisites Private Divine Healing/Training sessions have; nor do they include any recording, conversation, or training. You can pay for and receive your Remote Divine Healing at once. No, there is no physical pain involved. Most of the work involved in your Divine Healing will take place on another plane or dimension, so you may have limited awareness of what the angels are doing on your behalf. But you may be aware of releasing emotional and energetic debris. Some physical sensations you may experience are pressure, heat, lightness, or a jerking movement. I may spend up to an hour working on your behalf before your actual appointment, which will take up to one hour, depending on your needs. During that time, we will remove as many invading entities as we are guided to release at that time. Absolutely. Because I work with a multi-dimensional team that is capable of being with you and me at the same time even if we are in different locations, it is not necessary to receive your Divine Healing in person. Almost all of the healings I do are remote (at a distance), in many cases without the person’s knowledge, usually at the request of a loved one. In those situations, the soul gives permission 99% of the time, even when the person is unaware. If the soul does not grant permission, it always explains why not. Yes. A Divine Healing utilizes the energy of Jesus Christ and the Angelic and Archangelic Realms. Only Love and Light may be transferred to you during a Divine Healing and it is completely safe when performed by an experienced Spirit Releasement Practitioner. Jesus Christ is most widely known as the Son of God or as an Ascended Master. He loves all humanity unconditionally and will assist you without regard to your belief in or dedication to him. Archangel Raphael not only assists in entity removal, he is a great healing force that helps you reprogram the negativity left behind by the entities that have been removed. Archangel Michael is a protective Warrior Angel who forcibly removes entities that are unwilling to leave. He also cuts any cords that anchor you to negative people, places, or things and prevent you from moving forward in your life. Divine Healings are for anyone, regardless of what faith or belief system you subscribe to. You do not have to believe in Jesus, accept him as your Savior, or be Christian to reap the full benefits of a Divine Healing. All you have to do is give your permission to allow Jesus to temporarily enter your body where he will fill the void left behind by the vacated entities with the Love and Light of your Higher Power (however you conceive it) to complete the healing. The Arcturians are highly-advanced Fifth Dimensional extra-terrestrials from Arcturus, a star in the Bootes Constellation. Although very powerful, they are also very loving and wonderful healers and are here to help heal planet Earth by removing alien Reptilians and sending them to the Light. As Beings in the Light, the Arcturians work closely with the Ascended Masters, like Jesus. They are presently assisting us in ascending to the Fifth Dimension by decreasing human negativity—much of which is caused by alien Reptilians—and exchanging it for Love and Light. The Arcturians are ready to educate, heal, and help raise the vibration of any soul longing for peace and harmony. Expect anything! A Divine Healing and Spirit Releasement session is a kind of spiritual surgery. Your body will not be physically altered, but you will still need to be gentle and loving with yourself. You may experience some physical or emotional discomfort for up to six weeks as your body cleanses the remaining toxicity and energetic debris at a pace that is safe for you. It is vital that you drink plenty of good water in the days following your Divine Healing session. If you have been living under the influence of entities for an extended period of time, you have been influenced to think and act in ways that don’t support your highest and greatest good. As a result of your Divine Healing, you will have received energetic assistance to support you in moving your life in a more positive direction, but you will need to monitor your thoughts to notice when you are thinking “in the old way” or negatively. You can then intervene and change those thoughts as they arise, so that you develop the habit of thinking more positively. A Divine Healing is a profound spiritual experience and cleansing, and you will need to continue to be gentle and loving with yourself. Drink as much of the purest water that you can to help your body flush away the negativity it has been holding as a result of the entities or energies that have been affecting you. I recommended that you do not see other energy healers immediately following or in between your Divine Healing sessions. Even after a single session, there is a six-week time period during which you will still be cleansing the old energy and integrating the new. It isn’t a good idea to add additional, possibly incompatible, energies from other healers during this process. You can become a Member by going to the Home page and subscribing to get your password for the Members page. 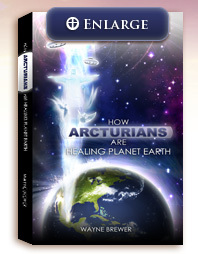 From the Members page, you will be able to access FREE audio and video links—including the full audio book of How Arcturians Are Healing Planet Earth—listen to radio interviews, read archived newsletters, get MEMBERS’ DISCOUNTS on healings and both books, and more. I am an experienced Spirit Releasement Practitioner. I facilitate the removal of entities and other attachments that may be causing problems in your life, and by extension, in the lives of those around you. I do this through a technique called a Divine Healing. An entity is a non-physical being that is able to attach to or enter the physical body of its host or hostess. Entities can be attachments; the lost, disembodied spirits of the deceased (discarnates); demonic (dark-force) in nature; or alien Reptilians. Whether or not they intend to, they always cause harm and suffering. The Reptilians are extra-terrestrials from the Draco constellation. They are evil by nature, manipulative and power-hungry shape shifters, who feed on negative energy. Reptilians are responsible for much of the pain and misery on the planet, especially wars. Many different symptoms are indicative of possession, but some of the most revealing are: hearing voices, seeing disturbing or violent mental images, feeling suicidal, experiencing spiritual stagnation, or undergoing sudden changes in your disposition or personality, especially following surgery or a traumatic event. Symptoms of possessions are not always dramatic. Depression, nightmares, night terrors, panic or anxiety attacks, chronic fatigue/exhaustion, addictions, sexual acting out, migraines, dissociation, multiple personalities, and chronic relationship problems may be connected with or the result of possession. Yes, I often clear and cleanse haunted homes, buildings, and other areas where people have noticed dark or low energy, ghosts, or poltergeist activity. Not all entities attach themselves to individual people. Some roam around a house, building, or area without attaching to a host. They may stay in one place or they may go from place to place, moving with the people they’re connected to. The process of removal and healing is the same, whether I’m working with a person, a place, or a thing. Channeling is a spiritual means of telepathic communication with energies from other dimensions. If it is done with the proper protection, channeling is a safe way to access the frequencies of Higher Realms, including Universal Divine Energy and the energies of my multi-dimensional guides to remove entities and generate healing. Yes, you will most likely have the opportunity to ask questions during your Divine Healing session. If you would like to schedule a session, please go to the Purchase a Session page and make your payment. Then email me with the name of the person it is for. If it is a remote, I will get it done as soon as I can work it in. If it is to be a personal session, I will email you back to schedule it. Due to my international travels, telephone calls are the worst way to try to communicate with me right now. Although answers to 95% or more of the questions I’m asked can be found on this website, if your question isn’t one of them, please go to the Contact page and email it to me. I will answer it as soon as I am able to do so. 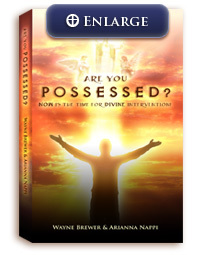 You can also find much more detailed information in my books Are You Possessed? and How Arcturians Are Healing Planet Earth. If you subscribe and become a Member, you can access even more information on the Members Page, including FREE audio and video links, Radio Show Features, Archived Newsletters, and more.